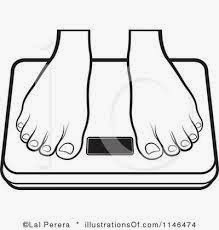 "The Ozeri WeightMaster 400 lbs Digital Bath Scale with BMI and Weight Change Detection was designed and engineered in the USA to provide a comprehensive yet simple weight management solution to measure and track your weight. Featuring BMI Measurement and Auto Recognition Technology, the Ozeri WeightMaster weighs up to 400 lbs and displays your BMI (Body Mass Index), a measure of your body fat based on your height and weight. Immediately after displaying your weight and BMI, the scale’s Weight Change Detection displays your "net weight change" from your last weigh-in (L1), the average of your last 3 weigh-ins (L3), and last 7 weigh-ins (L7). By measuring your weight once a day, the Ozeri WeightMaster empowers you to see how your current weight changes day to day, from the last 3 days, and over the previous week. For users who would rather just focus on their weight trend without worrying so much about the actual numbers, the WeightMaster features Color Alert Technology, which displays your weight change in a GREEN illumination for weight loss and RED for weight gain, providing a visual form of intuitive feedback." I was sent the ZB21-W Weightmaster Digital Scale from Ozeri to review. The price for this scale is $29.85 and it ships free with Amazon Prime. You can find this scale at many other retailers that offer site to store shipping for free. For example: Home Depot, Kmart, Walgreens, Walmart, NewEgg, etc. This scale arrived to me in perfect condition. The box is fairly heavy, and it measures 13.0" x 13.0" x 2.0" at its widest points. The box is white with black accents. It is also a locking flip-top and a little carrying handle. The front of the box labels the product and brand. It also features a large picture of the actual scale. The back of the box is almost the same, but it details (6) important points about the scale. This box includes the batteries, manual, and non-slip feet. The top of the box is where you will find a carrying handle, and the bottom is illustrated with a miniature version of the front picture. The box flips open from the top (and there is a little cardboard locking mechanism) and the scale slides right out. When I pulled the scale out of the box, it opens up to the actual scale wrapped in plastic, and the sides have the cardboard end caps. The bag contains the scale, the instructions, and the battery. I've never had such a smart scale before! I was so excited to try it and get my data set in place. Before anything, I messed around with it to learn the features and how it works. The scale is glass, and there is a little sticker that cautions that the surface can become slippery when wet. The name brand is printed towards the bottom of the front. The back features (4) non-slip feet and a sticker that notes the model number, capacity, minimum weight, and battery type. The battery compartment is found directly below this sticker. Just place the (3) included batteries inside the compartment, and you are ready to go! Be sure to read the manual before setting up your 'profile' on the scale. All you have to do is input your user number, height, and initial weigh in. Other than that, it records your change in weight day-to-day, and it also lights up red for weight gain and green for weight loss. I love the green and red 'quick views'. I love that the batteries are included. I have not found any cons of this scale. I have been loving this scale. I can see at a second's glance which direction I am heading. This is a very practical scale, and it's definitely worth the price. I'm highly recommending this! Are you wanting to try the Ozeri ZB21-W Weightmaster Digital Scale, too? Click the link below, and order away!